Jaguar Racing’s longstanding history in motorsport does much more than entertain Scottsdale residents. 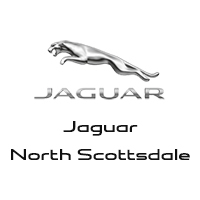 In fact, it informs the evolution of cars accessible to all drivers at Jaguar North Scottsdale. Learn more about Jaguar history and its racing roots! Check out the different models that have graced the Jaguar Racing platform over the years. XK120: World’s fastest production car at launch in 1948. Ran through 1954. Scored a win at Silverstone, and three models debuted at Le Mans. C-TYPE: Disc brakes in the C-TYPE became the standard for the automotive industry. Produced from 1951 to 1953. Registered wins at Le Mans. D-TYPE: From 1954 to 1957, posted three wins at Le Mans. XJS: Won at Spa 24 Hours in 1983. Raun from 1975 through 1996. XJR: Ran from 1983 to 1991. Hit speeds up to 229 mph. Took first and second place at Le Mans in 1990. Formula 1 – R2 & R3: The Jaguar Formula One team from 2000 to 2004. Driven by Eddie Irvine and Mark Webber. Formula E I-TYPE 1: Jaguar and the return to racing for Formula E in 2016 and 2017. Formula E I-TYPE 2: All-electric Panasonic Jaguar Racing car. Sprints to 60 mph in 2.9 seconds. Find out what’s trending with the Jaguar brand and Jaguar Racing when you visit Jaguar North Scottsdale!